The Museum has recently been given several interesting artefacts including three evocative Parish magazines from the 1960s. The number of regular weekday services was an eye-opener and the adverts for long-gone shops and services very nostalgic. This was followed by a beautiful pot made by Miss Helen Bulkley who moved to Cornwall with her sister Annette in c1922 and founded the Wayside Pottery in St Agnes. 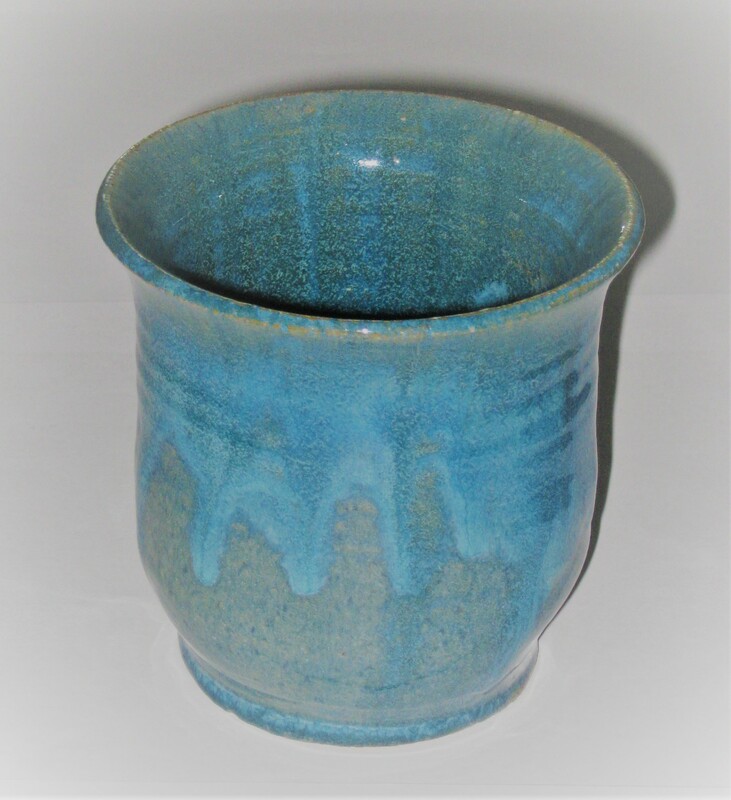 She liked to climb down the cliffs to obtain minerals to colour her pottery, which is characteristically turquoise, as shown. Finally we were delighted to be sent a copy of Theodora Salusbury, Stained Glass Artist 1875-1956 by its authors Georgina Maltby and Andrew Loutit. Miss Salusbury worked from Wheal Roger Studio, St Agnes and created, among many other windows, one of “St Agnes of Rome” for the Parish Church installed in the Church in 1936.